I was getting ready to give you a laundry list of all the times I’ve blogged about hoop earrings (there are quite a few), but once I looked back through On Your Market, I realized that the last proper list of hoop earrings was from April 2017 (and March 2017, before that). 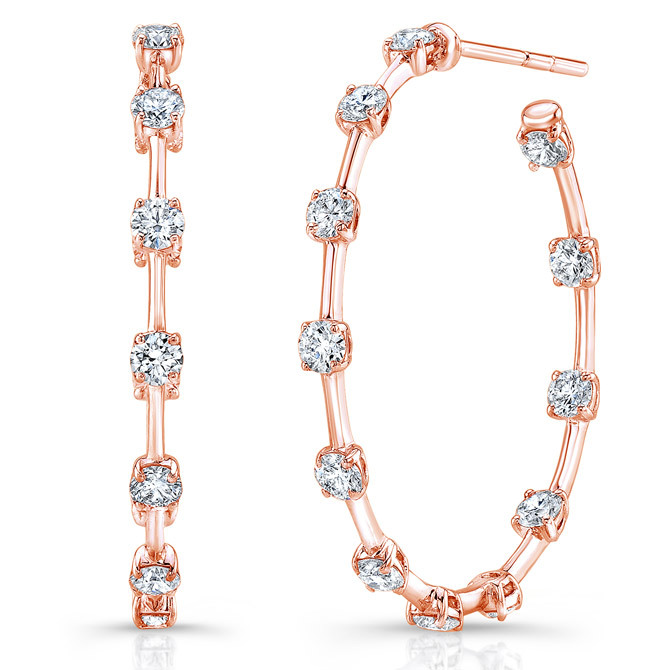 Still, in the last two years, hoop earrings have been spotlighted through a number of Britt’s Picks, and the popular earring style has been doing double duty over on Instagram. So here we are, two years later almost to the day, and the celebrity of the hoop earring has not changed. It’s pretty much just a fact of life at this point—something that, for me, keeps popping up on a daily basis. I’ll give you an example: Lately, I’ve become really interested in shopping for vintage clothes. I’m trying to learn how to source pieces smartly and fill my closet with styles I can love for years to come (if anyone has any pointers, please @ me!). It all started with my desire to obtain a specific scrunchie, of all things—a return to the ’90s heyday. 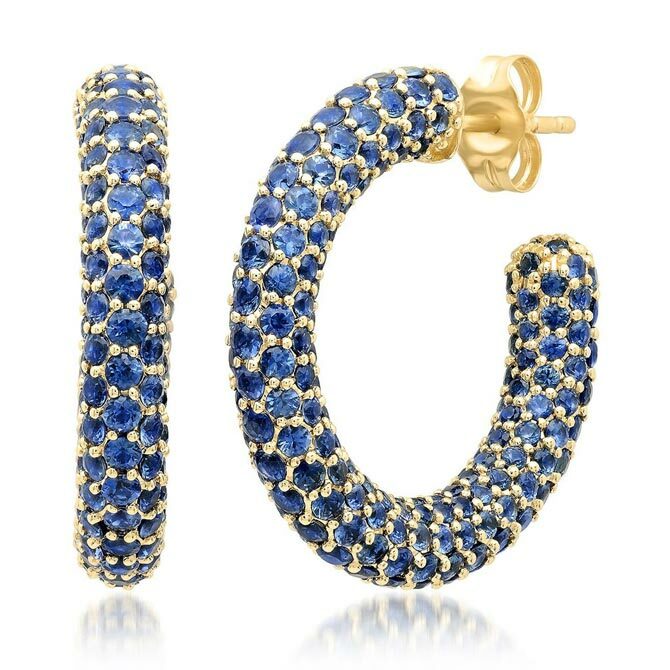 And that got me thinking about the perfect accompaniment to a scrunchie—hoop earrings! And then I started browsing clothing from the 1970s, a style era that I find myself most drawn to. Guess what else made a prominent appearance? Yeah, hoops. 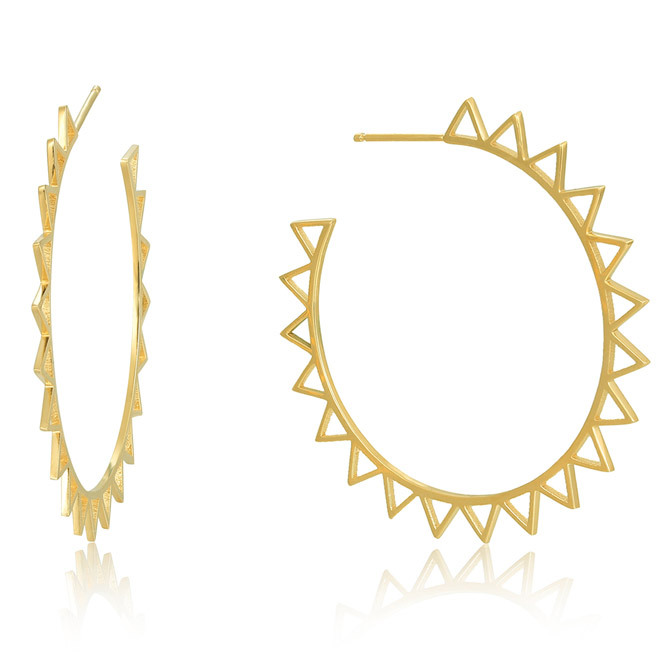 Aside from my little style detour, other recent topics are bringing hoop earrings to mind, too. 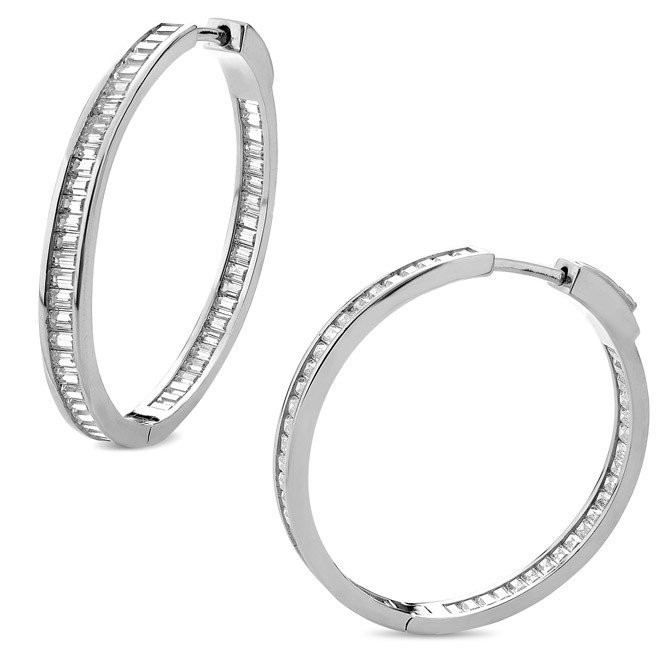 The news of J-Lo’s recent engagement had me thinking of her signature styles (aside from her roster of diamond rings), with big hoop earrings coming to mind straightaway. And then there are the actual hoop earrings. I send out a lot of requests for new product images from a long list of jewelry designers, and can you guess what keeps coming in? Surely you see where I’m going with this. So here are some of the latest incarnations of the everlasting, long-loved hoop. 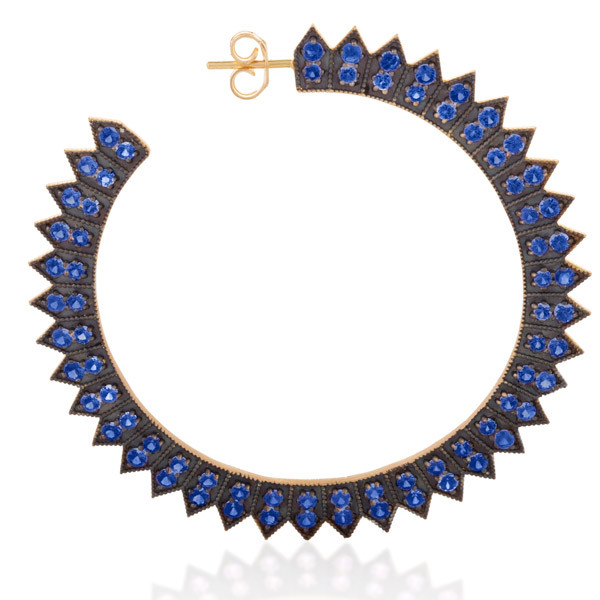 We’re always playing with ways to wear them (in duos, trios, in one ear, with studs), and they’re consistently pleasing our need for easy-breezy good style.